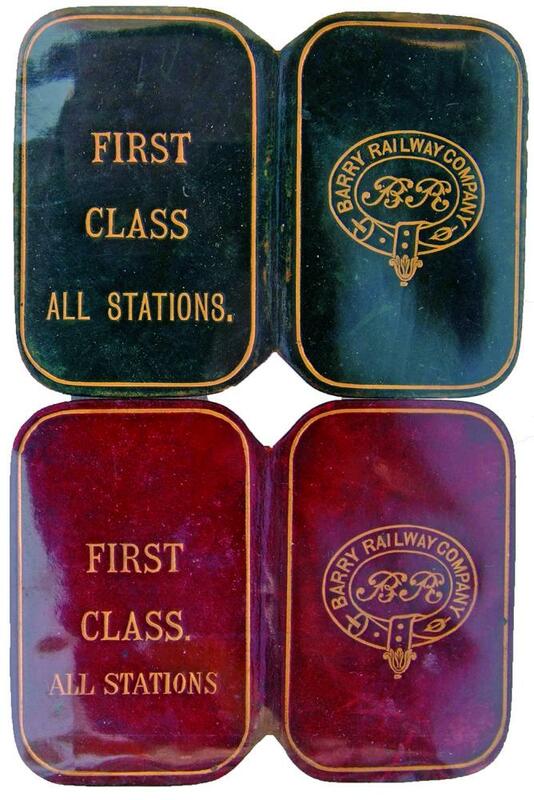 Barry Railway Company Leather covered Free Passes, qty 2. Both have a fully titled, garter crest, in gilt, on the front cover and, also in gilt, 'First Class All Stations' on the back cover. When opened, the green one shows that it was issued in 1898 to Mr R.W. Dyer. The maroon one, when opened, shows that it was issued to Mrs Dyer & one in 1899. Both are in excellent condition considering they are around 110 years old.